On the weekend with the great weather Cameron had a private charter to Mull. The first stop was Craignure for lunch at the ‘Craignure Inn’. After the guests had a great feed they cruised up the sound of Mull. They arrived in Tobermory for a wee look and a stop for a refreshment. On the way back they saw a white tailed sea eagle and porpoise. 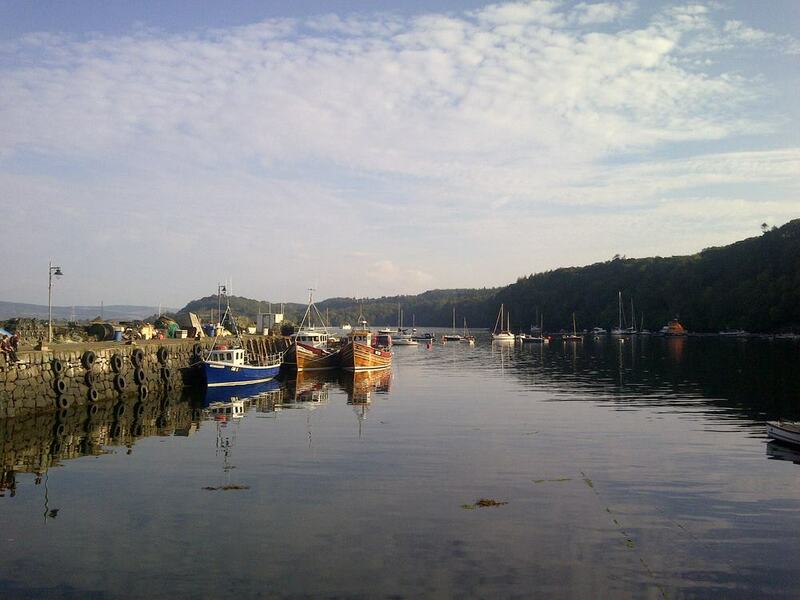 They then headed back to Seil for the rest of the weekend, involving some stone skimming.